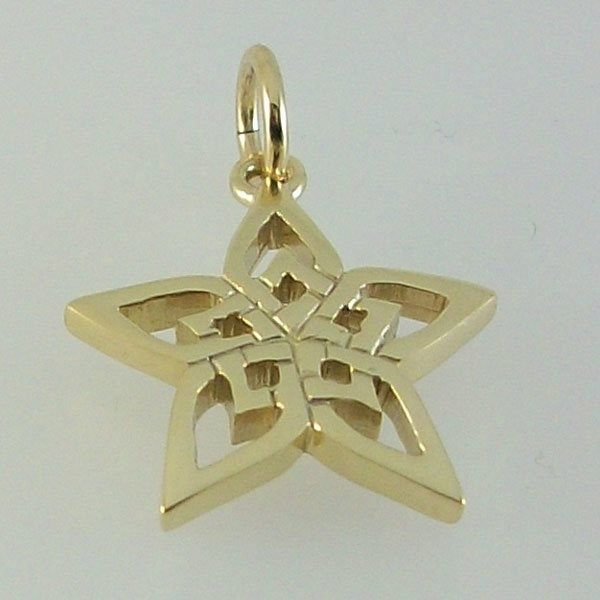 Elegant Hebridean Star pendant handcrafted in 9ct gold new to our celtic jewellery range . Dimensions are approx height and width 19mm weight 2.5g. 9ct Gold minibel Please select chain size.